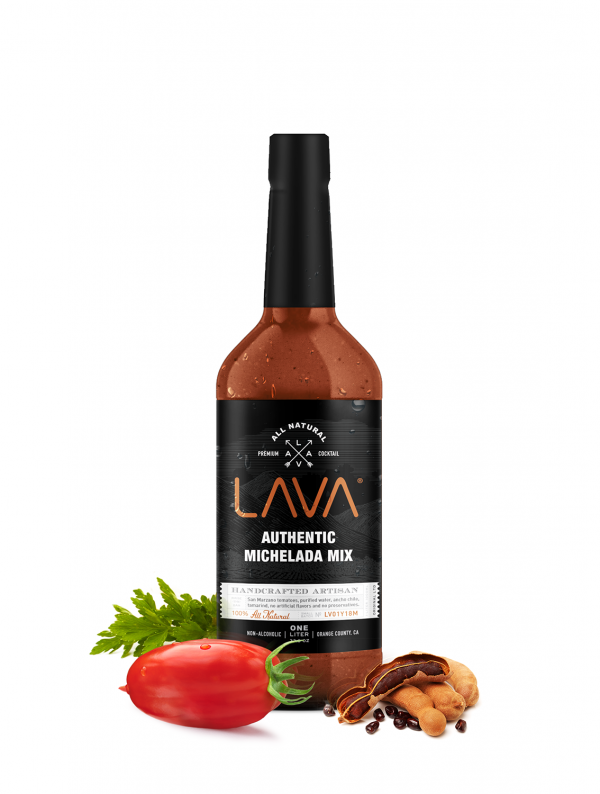 LAVA Michelada Mix is made the authentic way with fresh Italian San Marzano tomatoes, ancho chile peppers from Pueblo Mexico, horseradish, tamarind and our proprietary spice blend. Experience a bold flavor explosion with perfect blend of tangy, sweet, sour, and spicy that will have you begging for more. No MSG, no high fructose corn syrup, no artificial ingredients or colors, vegan, no preservatives and made with reverse osmosis purified water. Always keep refrigerated after opening. Suggested use within 3 weeks of opening. Glad to find this really good michelada mix online. Recently got stationed out here in Virginia and this gives me a taste of home. Really fresh and packed with flavor. Spice level is good but tame for my taste. I like it burning hot where i am sweating, lol. Someone brought this to a Xmas party and it was a hit. Lucky I was able to find it online. I like that its straight up good without anything else. Just add my dos equis and I have a killer michey. I moved to the east coast from California and man do I miss a good michelada. This mix hits the spot. Perfect blend of sweet, spicy, tangy. Highly Recommend 5+ stars! Finally a vegan michelada mix without high fructose corn syrup or msg or any other crap in it. Thank you for this healthy michelada! I only gave it a 4 star because it’s not an organic michelada mix. My husband was giving me a hard time because our beer wasn’t organic either, lol.